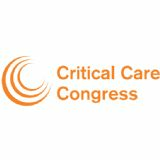 Connect with colleagues, experience leading-edge innovations in critical care medicine, and stretch your imagination at the Society of Critical Care Medicine's (SCCM) Critical Care Congress. The Society's Congress is the largest critical care event that brings together all members of the multiprofessional, multidisciplinary team. This five-day event will offer unique opportunities to explore breakthroughs in research, share creative and stimulating ideas, network with leadership in critical care, and share in a diverse range of perspectives.